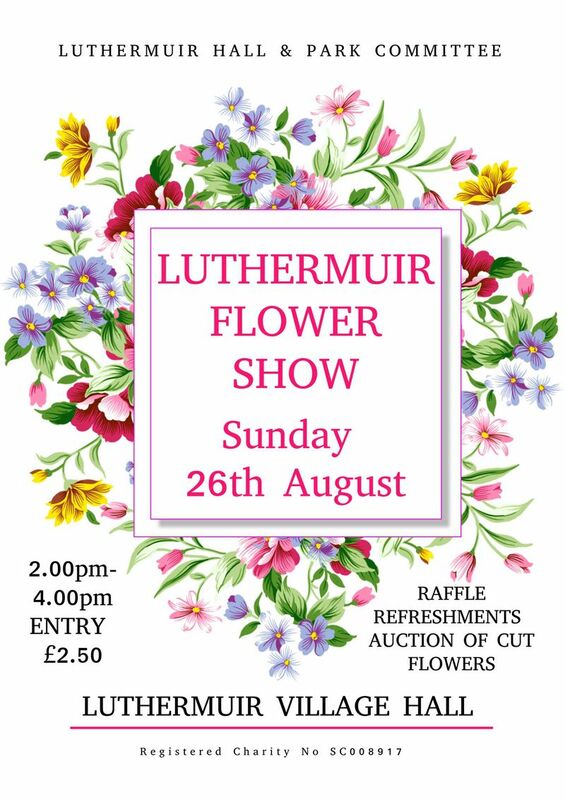 Luthermuir is gearing up for the next event in the Village Hall, the Annual Flower Show. This year marks the 40th Show and to celebrate, the committee have added 5 Ruby Anniversary classes to the schedule – one for each of the usual sections: Cut Flowers, Fruit & Veg, Pot Plants, Floral Art and Children’s. Schedules are available by emailing luthermuir.hallevents@gmail.com or contacting the Committee via Facebook or Twitter. Best Kept Garden – 1st Mr & Mrs Buschman; 2nd Hilda & Sandy Murray; 3rd Derek & Isabel Ritchie; Highly Commended, Shona Jack. Best Container Display – 1st Derek & Isabel Ritchie; 2nd Mr & Mrs Buschman; 3rd Margaret Merchant. Prizes will be awarded at the Flower Show on Sunday 26th August. The Show will be open 2-4pm, entry is £2.50 including refreshments.